Sarah "Kitty" Puckett is dedicated to building lifelong relationships based on a foundation of trust and client satisfaction. 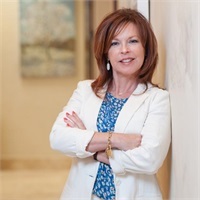 Kitty has more than 20 years of experience building a successful client base through personal service and professional integrity, and she now concentrates her efforts on business development for Rembrandt Financial Group. Her leisure time is spent playing golf, traveling, spoiling grandchildren and admiring her husband’s hobby of restoring classic muscle cars.